If you’ve never attended a naturalization ceremony, it’s an incredibly touching event to witness. To paint a picture: enthusiastic flag waving as patriotic new citizens and their proud families and friends are cheering, flowers are handed out and speeches are made. Everyone is smiling, shaking hands, taking photos and offering congratulations. The League of Women Voters strives to embody its mission of empowering voters and defending democracy. Registering voters is core to our work as a nonpartisan organization, and some of the most rewarding voter registration events are naturalization ceremonies. New citizens are excited and ready to celebrate their new citizenship by registering to vote. League volunteers stand by to help make the voter registration process easy and accessible, and sometimes register hundreds of new citizens. The feel of patriotic excitement is tangible. It is like a personal July 4 for so many newly naturalized citizens and a great reminder of what it feels like to be part of something greater than oneself. Recently, state officials announced that a number of individuals voted in elections without the requisite citizenship, knowing the data was not yet reviewed or vetted. There is not a problem of non-citizens registering and voting in Texas — there is a data problem. Even worse, government officials purposely took advantage of that known data problem to plant doubt about the integrity of the voting system. The list of individuals in that bad data was made up of licensed drivers and state ID holders, most of whom likely obtained their citizenship after having obtained their state IDs and licenses. Calling this list as proof of “voter fraud,” was definitely inaccurate. This loosely thrown around terminology has a chilling effect on individuals who earnestly and lawfully follow the path to citizenship. This bullying of our newest citizens must stop. The League regrets that we have to remind our state officials that naturalized citizens have a right to vote and to fully participate in our democracy. 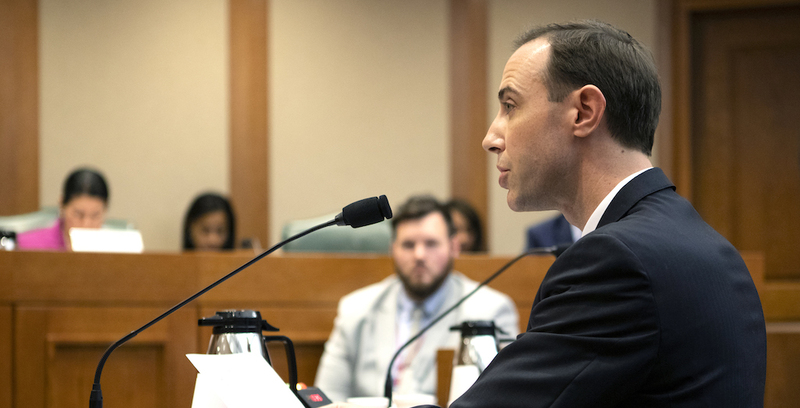 We have joined a lawsuit against the Texas Secretary of State and have asked the Senate Democratic caucus to block the nomination of David Whitley to be secretary of state. The League took these unusual actions because Whitley’s actions are not only not in the best interest of voting citizens but also a form of voter intimidation. Naturalization ceremonies are family celebrations. But this celebratory event can quickly turn to fright and worry when those new citizens get letters from their county voter registrars, sent at the request of the Texas Secretary of State, attempting to invalidate their voter registrations. They included this sentence: “Your registration status is being investigated because there is reason to believe you may not be a United States citizen.” Very little instruction is provided around how individuals can cure the situation by partnering with their county official’s office. These are nothing more than intimidation letters, written in bureaucratic legalese. The Secretary of State, as the chief election officer for Texas, should protect all citizens’ right to vote. Texans can have a secure and accurate voter registration list in two ways: first, by ensuring government officials prioritize data accuracy; and second, by modernizing to include a safe and secure electronic voter registration system like those currently available in 37 other states.